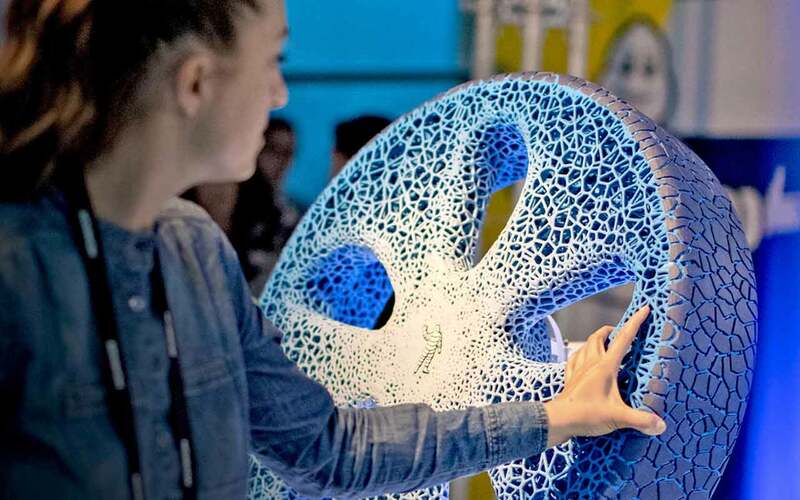 At Armor 3D we enjoy sharing initiatives that resonate with what we do: 3D printing, circular economy and environmentally responsible initiatives. It is even better if they check the three boxes. On this occasion, we share about the French tire manufacturing company, Michelin. 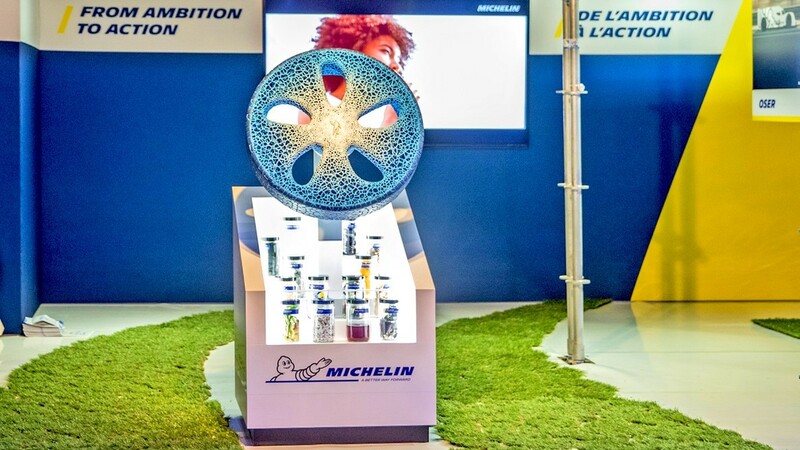 They showcased a project of 3D printed biodegradable tire at their international summit for sustainable mobility, Movin’On in Montréal. Concept Vision is the name the futuristic-looking tire was given. 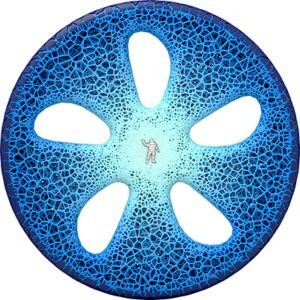 The wheel can be said to be reinvented here as the tire is airless and illustrates what biomimetic design means. Some will see spider webs whereas other will see coral design inspirations. What we can expect from this new tire are durability, versatility and recyclability. The airless structure means that the tire cannot blow. The tire is an alveolar structure coated by a thin rubber band. That leads to another massive innovation here: reusability. The outside rubber band can be 3D printed on demand, either to be replaced or the adapt different driving conditions (snow, heat, mountain, sand,..). Michelin leaves the “replacement” mindset to embrace the “additive” attitude. Nothing is thrown away, there is simply an addition of rubber on the tire. Finally, Concept Vision is a fully connected tire. Full of sensors, the tire will be fully monitored. Its level of use, the driving style, the environment will be precisely measured and will allow the tire to be printed according to these variables, for more comfort and security in the driving. “Because we believe mobility is the foundation of human development, we innovate passionately to make it safer, more efficient, more environmentally respectful. Quality without compromise is our promise and priority when serving our clients. Because we believe in personal development for each and every one of us, we want to give everyone the means to express their best abilities and make our differences our strength. Proud of our values of respect, we go together through the adventure of a better mobility for all” concludes Michelin’s Director of Innovation Terry Gettys.